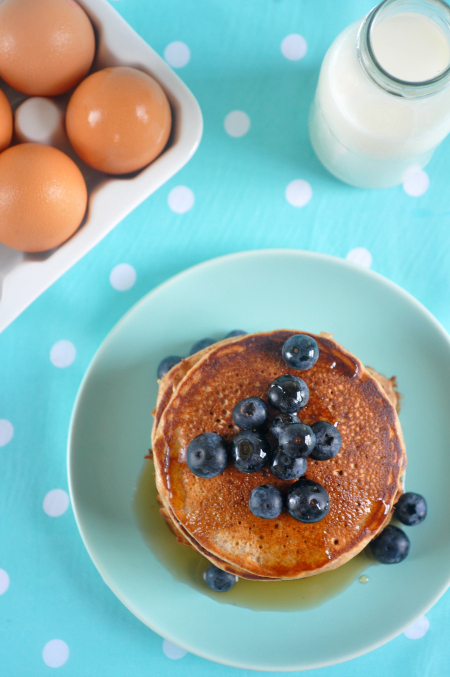 Home Breakfast	Chai-spiced spelt pancakes and a giveaway! This post is sponsored by Australian Eggs. 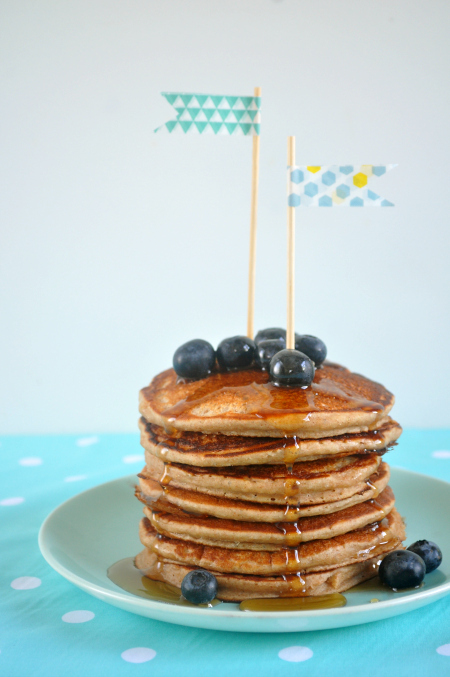 Did you know that it’s Pancake Day today?! And who wouldn’t want to celebrate the deliciousness that is a pancake? 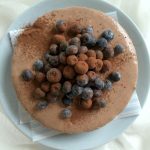 So to jump on board the festivities I have created a really yummy, and healthy, pancake recipe for you. It’s made with low-fat yoghurt, wholemeal spelt flour and of course eggs! As well as a sharing my recipe today, the friendly folks at Australian Eggs have given me a fun pancake-making giveaway for you guys! Scroll to the bottom of the post to find out more. In this pic: I made little flags using bamboo skewers and our washi tapes. In this pic: like the milk bottle? you can buy it here. Sift the flour, baking powder, cinnamon, ginger and baking soda into a medium bowl. In a separate bowl, whisk together the tea, milk, yoghurt, egg, agave syrup and vanilla. Add to the dry ingredients and whisk until just combined. Lightly spray a large frying pan with cooking oil. Heat over medium/low heat. Cook 1/4 cupfuls of the batter, in batches, for 2-3 minutes each side or until golden and cooked through. Top with blueberries and drizzle with extra agave syrup to serve. 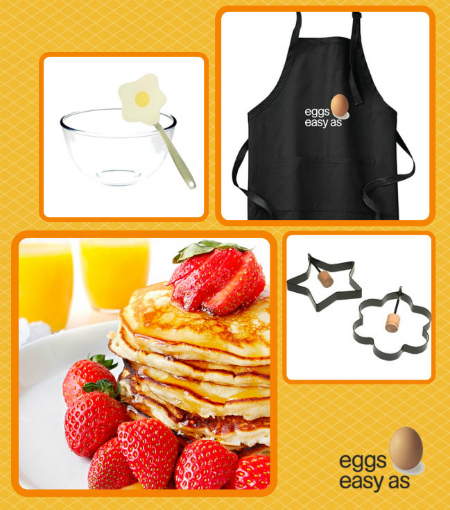 To be in to win, all you need to do is leave a comment below letting us know what your favourite pancake toppings are. For a second chance to win, head over to Australian Eggs facebook page and give them a ‘like’. Let me know if you have done this so I can add you into the draw twice. Entries close 5pm Tuesday 11th March. Open to Australian readers only. Need more reasons to eat eggs? – The Australian Dietary Guidelines maintain that the everyday consumption of eggs can be included as part of a healthy, balanced diet. My favorite pancake topping is strawberry sweetheart butter and smashed mixed berries and natural yoghurt! So much goodness! I have liked the ‘Australian eggs’ FB page. In a sausage shape to eat! My favourite pancake topping is Baileys and vanilla icecream – eaten quickly so the icecream doesn’t melt too much!! I love my pancake with ricotta, honey, pear and walnuts! A great mix of textures and flavours! Thanks for sharing Laurie, but unfortunately the competition is well and truly closed.